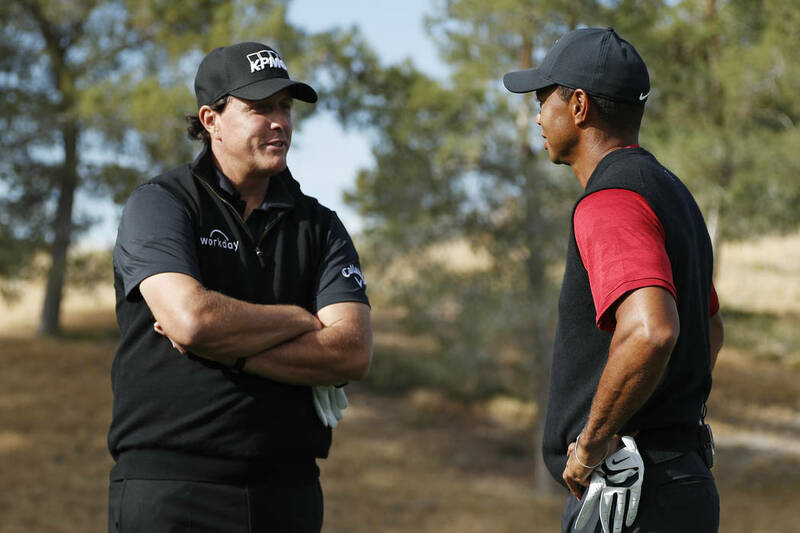 In a quiet moment in the Shadow Creek locker room a few days prior to their $9 million match, Phil Mickelson and Tiger Woods both said they contemplated playing in the 2018 Shriners Open. 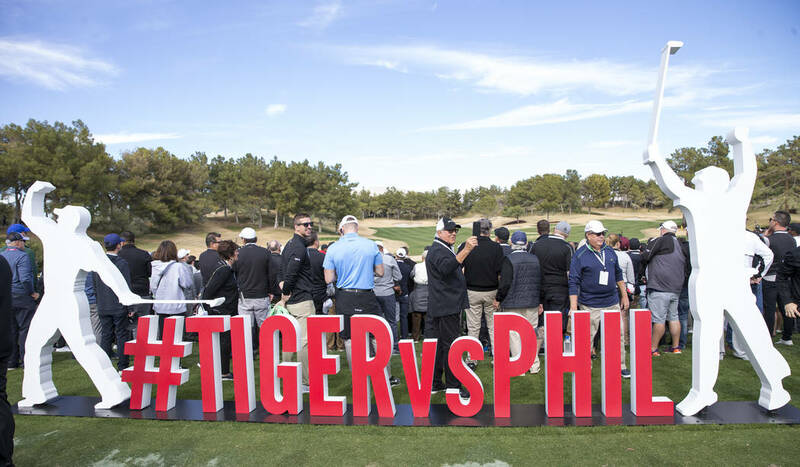 In a quiet moment in the Shadow Creek locker room a few days prior to their $9 million match, Phil Mickelson and Tiger Woods both said they contemplated playing in the 2018 Shriners Hospitals for Children Open and it could be on their future schedules. “I was actually close this year to teeing it up and playing (in Vegas) again, but the more I thought about it, I just needed more of a break,” said Woods, whose 1996 Las Vegas Invitational victory was the first on the PGA Tour. He finished tied for 36th in 1997. “I’ve loved playing in this event and I had my first win here when I beat Davis Love III in a playoff. Mickelson has played in Las Vegas 12 times, but not since 2005. He finished runner up in 2000. In 2019, the Shriners is scheduled for Oct. 3-6. 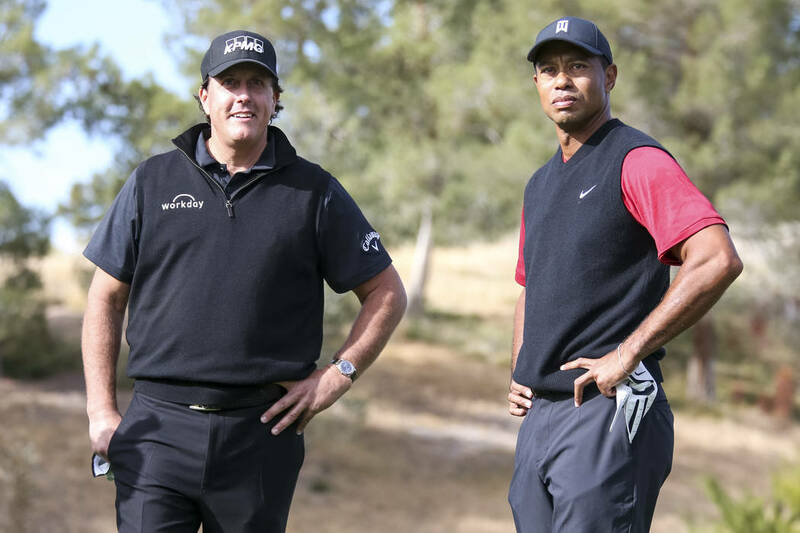 As for “The Match”, won by Phil Mickelson on the fourth extra hole, the two admitted post-event that there were varying opinions. Mickelson said it was too soon to discuss future similar events. “I think we need to wait and see how people liked it or not,” Mickelson said. “This was really fun for me. Some of the most fun I’ve had on a golf course being able to play with you (Tiger), against you, compete, side challenges. The Southern Nevada Junior Golf Association Santa Scramble is Dec. 17 at Reflection Bay. Golf and/or lunch reservations are available at SouthernNevadaJuniorGolf.com. Also, for historical records, alumni are asked to contact SNJGA. The Southern Nevada Golf Association is offering a round at Golf Summerlin, Las Vegas National and Wildhorse for $89. Also, tee times, gift cards and other prizes are being given away daily Dec. 1 thru Dec. 24 at SNGA.org. 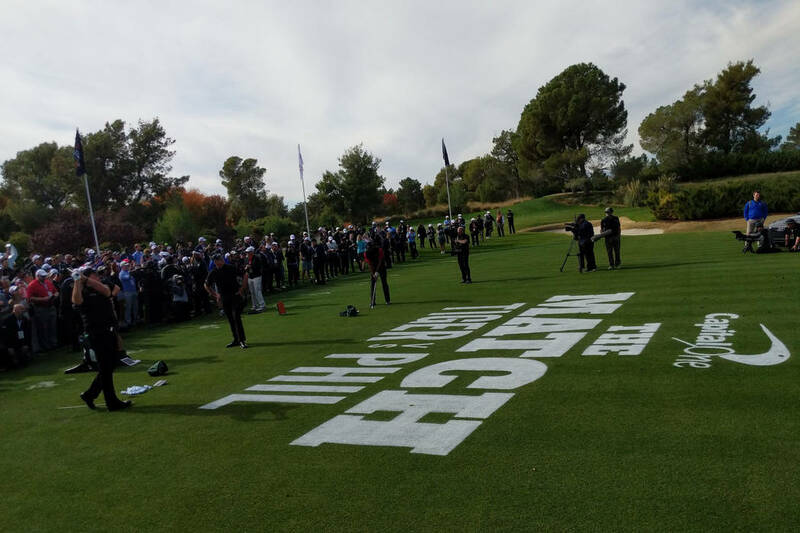 Notables at “the Match” included Norm MacDonald, Samuel L. Jackson, Kris Bryant, Michelle Wie, Charles Barkley, Natalie Gulbis, Ben Stiller and Pat Perez.